Explore the links below to learn about GPL's nearly 100 year long history. On December 27, 1988, Margaret Hamilton became the director of GPL. In 1990, she led the second remodel of the building. This expansion added a dedicated 5,500 square-foot children's area, individual and group study rooms, and room to house 100,000 more books. During the twelve-month construction the staff and collection were moved across the street to a smaller space in the Walker building. The difficult year was forgotten, however, when the library moved into the new and improved 31,500 square-foot building. 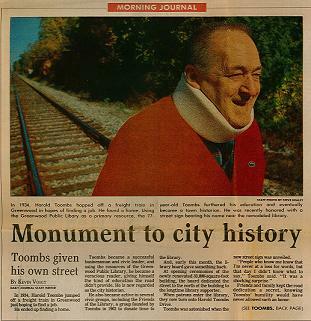 In 1991, when the new library opened, the library board dedicated the street to the north of the building to Harold Toombs, a long-time supporter of the library. Harold Tooms Drive is the name of the street from which patrons and staff enter the library to this very day.